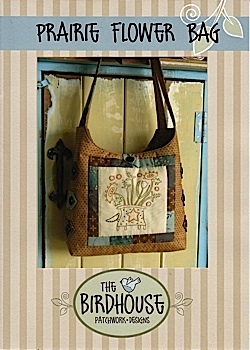 This beautiful bag pattern includes a stitchery front panel, side button tabs and a button loop closure. ©2019 Mulberry Hill. All rights reserved. Powered by Shoppe Pro.